JunkScience's Steve Milloy: 1. The entire economy would operate under the Green New Deal. 2. The government would have 'appropriate ownership stakes' in ALL Green New Deal businesses. Here is the plan to destroy America. It requires government ownership in virtually all business. 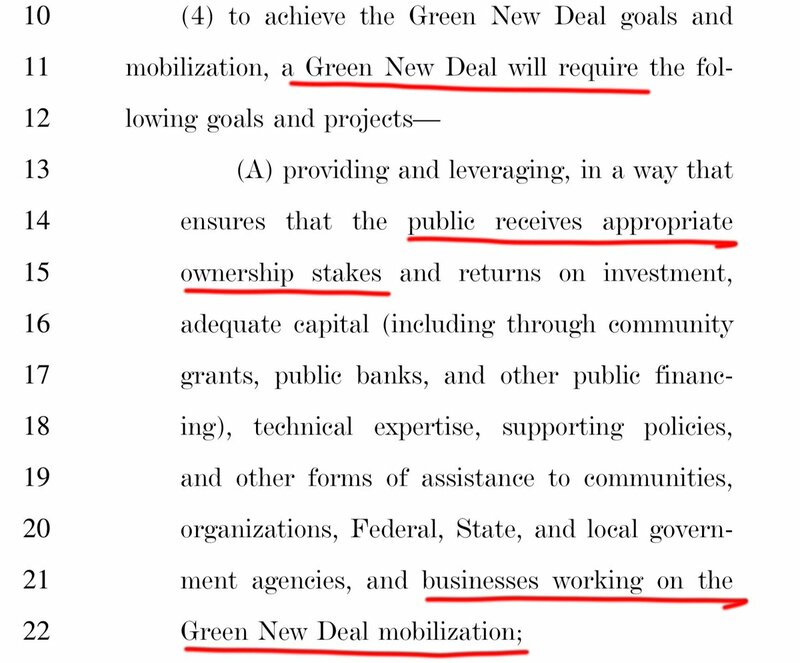 Read the Green New Deal.